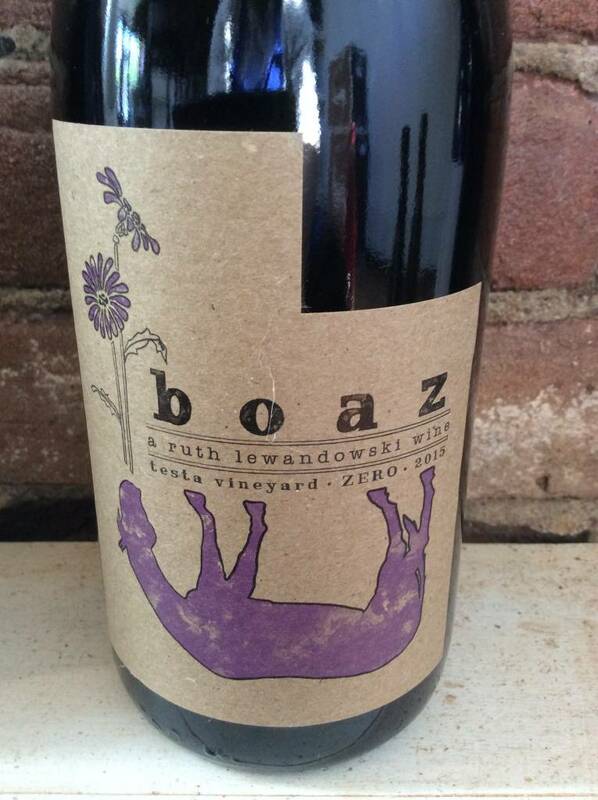 Using grapes grown in Mendocino County, the winemaker Even Lewandowski actually begins fermentation in California then drives the wine back to Utah in a refrigerated U-Haul where he finishes making his natural wines. 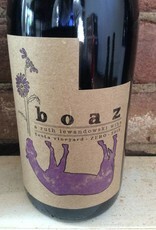 Boaz is primarily a showcase for old vine Carignan from Testa Vineyard, with a 10% each Grenache and Cabernet Sauvignon added. No additives or filtration, minimal sulfur added only after allowing a natural malolactic ferment. "Natural wine is the true expression of the land by way of a grapevine. I'm not interested in debating exactly WHAT natural wine is. People get all up tight about numbers and definitions in the wine world. It tends to be easier explaining exactly what natural wine is not. It is not industrially farmed with the use of synthetic pesticides and herbicides and fungicides and fertilizers. It isn't an industrially produced beverage product through employing unnecessary amounts of sulphur, without cultured 'designer' yeast and/or bacteria strains, and the myriad of other techno cellar wizardry products we have at our fingertips these days."